Marketing is vitally important to all businesses providing insight to develop and deliver new products and services to meet ever-changing customer needs. It is the process of researching, developing, promoting and distributing, products or services through effective channels to engage with a range of target audiences. 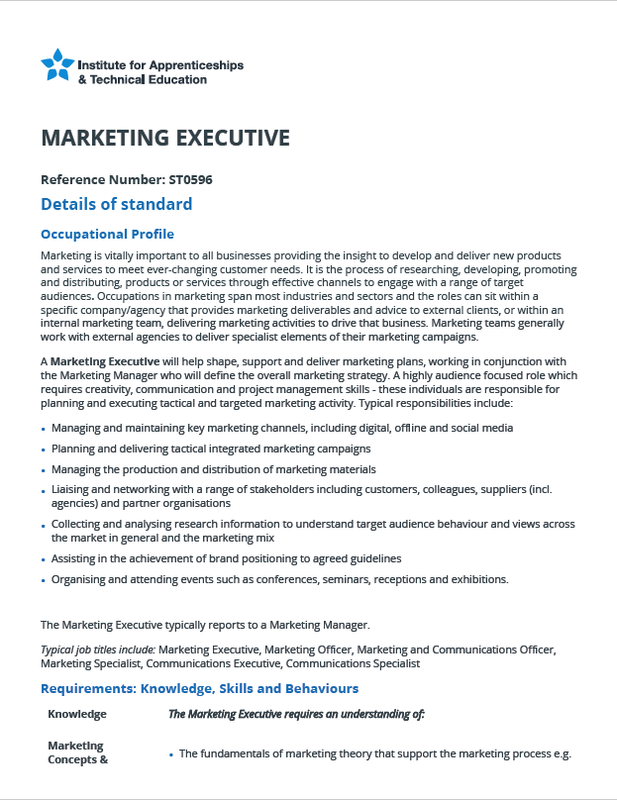 Occupations in marketing span most industries and sectors and the roles can sit within a specific company/agency that provides marketing deliverables and advice to external clients, or within an internal marketing team, delivering marketing activities to drive that business. Marketing teams generally work with external agencies to deliver specialist elements of their marketing campaigns.